Thanks to Mahajyoti and Arun this CD version of the manual is now available. The original songs have been retrieved and converted to MP3 format thanks to Giridhara. 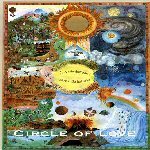 The Circle of Love manual includes over 300 songs for children. Through the efforts of Giridhara, the original tapes have now been transferred to a set of four music CDs. This set of four CDs is available for $20 plus shipping. To obtain copies, please write to: <amgk.glo@gurukul.edu>. a CD collection of PowerPoint presentations useful for teacher training and introductory lectures on NHE. To obtain copies, please write to: <amgk.glo@gurukul.edu>. Edited by Avtk Ananda Rama AcThis full sized 100 page book provides a colorful picture of the Neohumanist Education system world wide, with over 40 articles and 260 pictures from NHE schools around the world. The articles are written by teachers working in the schools, giving a first hand look into the NHE classroom. Yoga warm-ups is a compilation of poses that comes with complete instructions to guide you through your exercise routine. Suitable for all ages and levels of fitness and strength. Mita Chen with her wealth of knowledge and experiences as a yoga teacher has carefully selected and demonstrated the poses which are helpful for yoga aspirants. Kaomudi is a registered physiotherapist with the New Zealand Board of Physiotherapists. under the guidance of AMGK Publications in Bangkok. The book has 160 pages and contains more then 1500 entries. Order at: amdictionary@eudoramail.com The cost is $6 wholesale, and $12 resale.